The lamb is one of the most prominent symbols of Easter. In Christianity, it symbolizes purity and sacrifice – two qualities associated with Jesus Christ. The citizens of Favara, Sicily (near Agrigento) are renowned for the tradition of creating beautifully decorated marzipan lambs with pistachio filling for Easter. The basic form of the lamb is created using a mold. Then the cook decorates the pastry according to his or her inspiration. One distinct characteristic is the red flag, a symbol of victory over death. 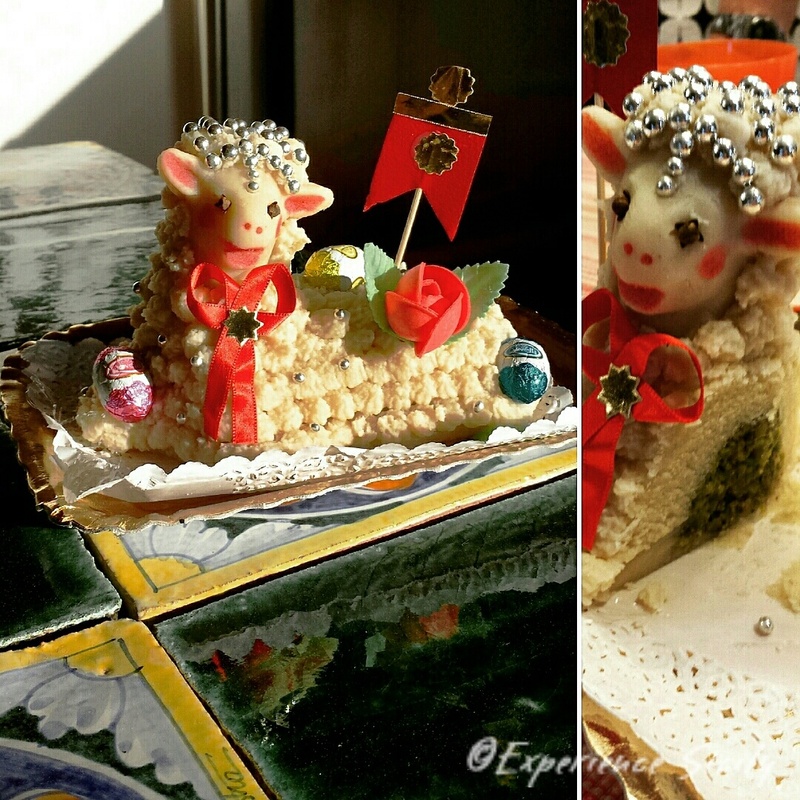 This tasty and adorable lamb that I photographed last Easter was created by Annalisa Pompeo of GoSicily Cooking. Annalisa will be co-hosting our Stirring Sicily cooking experience this coming September 15-22, when we’ll have a lesson on how to make Favara Easter Lambs. I can’t wait! Let me know if you want more info about this cook’s dream-adventure in Sicily! What beautifully created little lambs! With a little blush on the cheeks and everything. And sounds delicious, too – marzipan and pistachio cream filling…or are they eaten??? Oh, yes, they are gleefully eaten. Sweet and salty together… Yum!